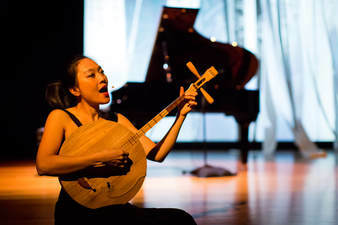 Nine Doors is a solo ritual music drama using both narrative and abstract, integrative music-movement methodologies via the voice, Taiwanese moon lute, gayageum, piano, and electronics. It is a confluence of stories, myths, influences and the Japanese biwa, the last of which is a new instrument in her family. Shyu will sing in languages including Japanese, Javanese, Indonesian, Taiwanese, Mandarin, Tetum, Korean, and English. This mythical work is inspired by two factors. One is Shyu’s 12-plus years of study of traditional music from four countries: epic storytelling (Pansori) and East Coast shaman music (DongHaeAhnByeolShinGut), both from Korea; music from sub-districts Aileu and Ataúro from East Timor; Hengchun Folk Song with moon lute from Taiwan; and Ledhekan, which combines Javanese dance with improvisational singing (Sindhenan) from Indonesia. Nine Doors was also inspired by the loss of Shyu’s friend, Sri Joko Raharjo "Cilik,” his wife and infant son who died in an automobile accident. Raharjo's daughter, who survived the accident, is the main character in this drama. Raharjo was a master of the Javanese art of shadow puppetry called wayang kulit. His 6-year-old daughter, who survived the crash, is the central character in Shyu’s piece. Time stops as she encounters powerful female legends—from the Wehali Kingdom of Timor to the Korean folkloric myth of Baridegi, the mother of all shamans—who become her guides. The work reflects the parallels that exist between life and death, different cultures, and the importance of empathy over destructive assumptions that divide humanity. Cowboy Rounds is a song cycle for piano/vocalist and live electronic processing. This work reexamines oral tradition and ownership through the lens of today’s internet-driven free culture movement. The folk recordings within the Lomax archive do not represent a final, unchangeable document, but rather a snapshot of each song, unique to its time, place, and performer. The lack of copyright in these field recordings invites current and future generations of musicians to continue developing the songs, either through digital manipulation of the recorded material itself or reconstructing elements of the recording through live performance. In that sense, Cowboy Rounds is a work deliberately caught between the ideological constructs of permanence and ephemera while building an intersection between new technologies and old traditions. Ian Dicke (b. 1982) is a composer inspired by social-political culture and interactive technology. Active in a diverse array of genres and multi-media, Dicke’s music exhibits a clarity of expression while integrating acoustic ensembles with cutting edge audio processing techniques. 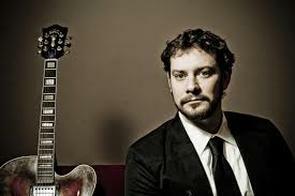 He currentlyserves as Assistant Professor of Composition at the University of California, Riverside. Noted historian and writer Kevin Whitehead defines the Prehistoric Jazz series as “less about jazzing the classics than situating the last century’s classical music and classic jazz in the same modernist continuum.” The quintet features Eric Hofbauer on guitar, Todd Brunel on clarinet and bass clarinet, Jerry Sabatini on trumpet, Junko Fujiwara on cello, and Curt Newton on drum set. Diane Cluck is a singer-songwriter of intuitive folk music based in Charlottesville, Virginia. She tours the US, UK and Europe, employing singing as a healing, textural experience in which audiences may wander, ponder, or simply be. Her vocal style has been noted for its clipped, glottal beauty, and described as “an unlikely mix of Aaron Neville, the Baka people, and Joni Mitchell…unaffected yet unusual”. (NPR) She accompanies herself on various instruments including guitar, piano, harmonium, zither, and a copper pipe instrument she built by hand. She released her seventh album Boneset through Important Records, featuring cellist Isabel Castellvi and drummer Anders Griffen. The album and singles received the distinction of premiering through NPR’s First Listen, All Songs Considered and Tiny Desk Concert series. “Time to Talk” is a multimedia dance piece rooted in research on American history, dance history, racial identity formation and systemic racism. It is inspired by Davalois Fearon's own experience of oppression and racial bias within academia that she encountered in 2015. Dynamic fluid dance, live music, poetry, and visual art are used as tools to bring attention to inequalities within the dance field and society at large. “Time to Talk” aims to encourage audience members to question how they may knowingly or unknowingly contribute to maintaining social norms that support a status quo of inequity.​ Ängsudden Song Cycle is a dance piece commissioned by composer/clarinetist and Davalois Fearon’s collaborator in life and art, Mike McGinnis. The music, bearing the same title, is a landscape tone poem. The catalyst for the music was the work of Filipino American visual artist MuKha, in which she used the disappearing language of a small tribe in the Philippines to create a series of poems and paintings, about the Swedish archipelago at Ängsudden. DavaMikePresents is a performance/curatorial project created by the artistic duo of dancer and choreographer Davalois Fearon, and composer and multi-instrumentalist Mike McGinnis. The married couple produces performances featuring dance, music, and various third components, including performance art and live poetry readings. Each performance combines works Fearon and McGinnis have created jointly as well as separately. 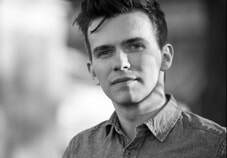 Pianist and composer KEITH KIRCHOFF will curate and perform a program of electroacoustic music by himself, Olga Neuwirth, Per Bloland, Dan Van Hassel, Robert Seaback, and Paula Matthusen. In this unique event, three local cellists, Zan Berry, Laura Cetilia, and Adrienne Taylor, will perform sets of original music aimed at expanding the boundaries and expectations of the contemporary cello. Although all three performers have a background in Western Classical cello performance, they hope to shine new light on the instrument through a program that includes experimental improvisations between cello and voice, original compositions exploring new terrain on the solo cello, and alternative folk songs for cello and voice. Curated by Zan Berry.